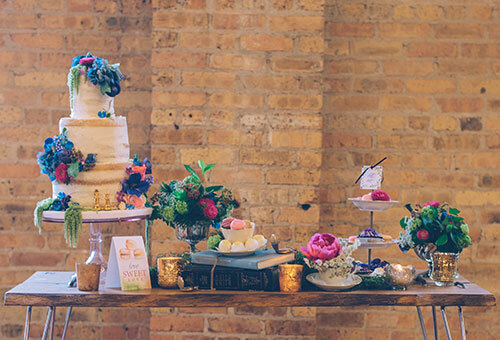 This Chicago wedding inspiration came from the super whimsical tale of Alice in Wonderland. 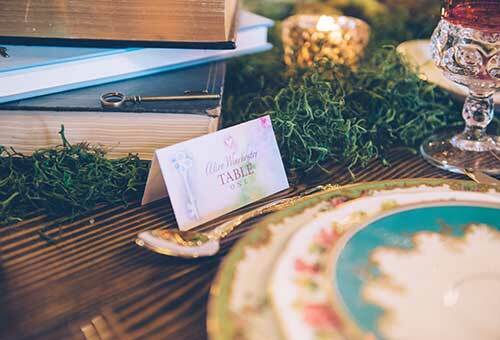 The wedding centers around the tea party table scene complete with "Eat Me" and "Drink Me" favors along with desserts galore. 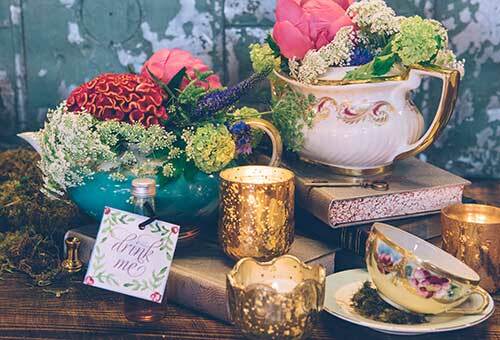 The invitation featured the tea party table and even has two bunny ears sneaking out in the middle. 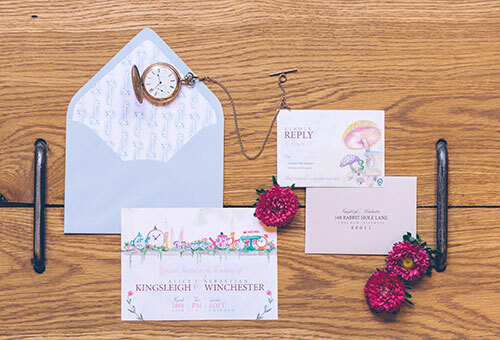 This Alice in Wonderland invitation is available for ordering in the Hand-Painted Weddings invitations shop. 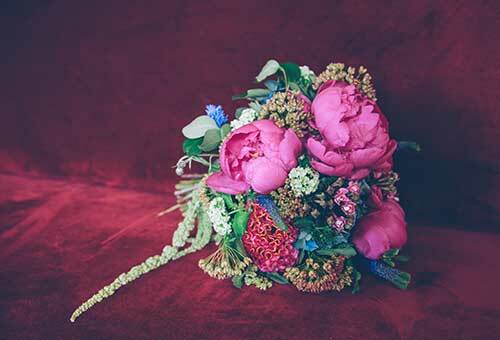 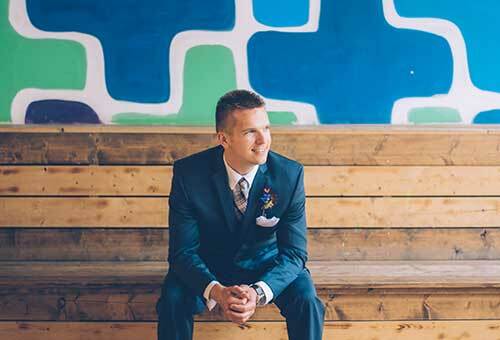 Read the full feature on Mod Wedding here.